Hand taps are the most commonly used general purpose tap. 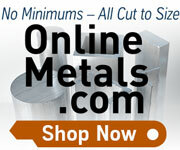 They are recommended for tapping free machining steels, stainless steels, aluminum, zinc, and ductile materials. Hand taps are utilized in either through or blind hole tapping.